Vintage Rolex Oysterdate, model 6694, with original warranty papers. 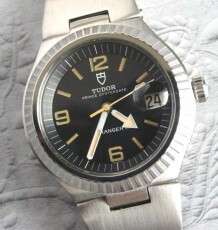 Rarer black dial model with vintage Rolex oyster bracelet. 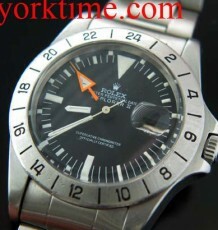 A great find, this all original Rolex Oysterdate with black dial. The dial is in mint condition that features steel stick markers and hands that contrast well against the black dial finish. 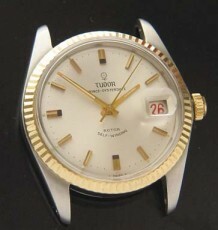 The Oysterdate model features a date display at the 3 o’clock section of the dial. The original Rolex crystal uses a magnifying bubble to make the date wheel more readable. 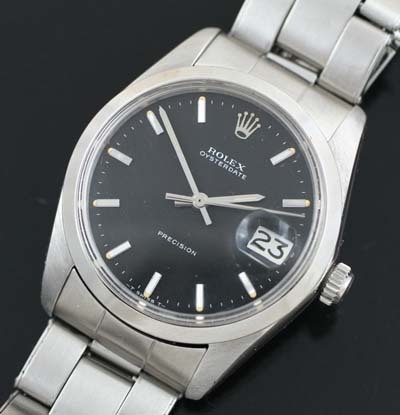 The Rolex 6694 is fitted with a manual wind 17 jewel movement calibre 1225. This super durable movement is derived from the famed 10 1/2 hunter models developed in the 1940’s. 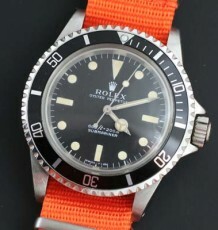 This watch comes with its original riveted Oyster bracelet and the original Rolex warranty papers dated in 1973. The case measures 34 mm wide by 43 mm long.